Want to achieve over 60mpg? Want to avoid congestion charge? Want to pay low benefit in kind tax? You can now do all this and more in comfortable well built, well specified large automatic hatchback whilst saving the planet at the same time. Sound too good true? It’s not. 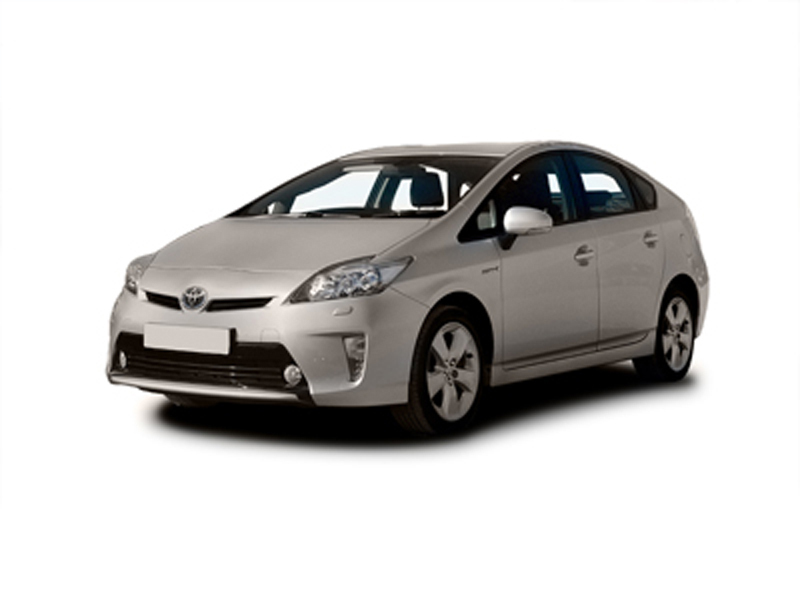 Everyone has heard of hybrid cars, but I suspect very few people have actually ever driven one, because if they had, all you would ever see on the roads of the UK would be people driving Toyota Prius. Now we are not coming at this from any kind of virtuous green position, we are simply testing a car, to see how good it is and the answer in this case is a resounding “very good”. We had tested the much acclaimed Honda Civic Hybrid over a 2 week period which we didn’t like. We found it impossible to achieve any of the manufacturer’s claims for the vehicle. Maybe we had a faulty one? I don’t know, but certainly it is not a car we could recommend in any way at all based on our tests. So when it came to testing the Toyota Prius, we were not convinced feeling all this hybrid stuff was a load of hype. We were sceptical about the cars performance, fuel economy, the way it would drive and in fact pretty much everything else other than Toyota’s legendary build quality. We drove the Prius for 2 weeks and used it in heavy traffic, country roads and motorways, so we tried every combination of journey. On a 30 mile commute, we achieved 61.9 mpg and that included 3 or 4 miles in heavy traffic, with the rest being on main road. We cruised at 70mph, and overtook at those speeds as well. We definitely were not a moving roadblock. We regularly achieved between 57 – 62 mpg on that journey and that’s seriously impressive. Even more impressive is that had we been lighter on the throttle, I know we could have achieved even more. To look at the other side of the coin, we drove the Prius just as we would an ordinary car and driving aggressively, we still achieved pretty much a 43mpg to 45mpg average, which for a large automatic isn’t half bad. Clearly, it depends on how you drive the car, but fact is that this car can deliver over 60mpg on a regular basis if you drive it sympathetically and it could save you a fortune in fuel costs. We didn’t accurately test the cars performance claims, but Toyota say 0-62 takes around 10.9 seconds and the cars top speed is 106mph and driving the Prius, it certainly seems quick enough. I have to be honest, driving the car to maximise its potential and learning to dive it drive regeneratively so you squeeze the most out of your petrol, takes a bit of getting used to at first, but once you have mastered that, the Prius is an absolute charm. But fully electric mode is a strange experience – as it’s silent, and you don’t know whether the car is running or not. Another major reason to look at hybrid cars like the Prius is “Congestion Charge” as Hybrids like the Prius and the Honda don’t have to pay any congestion charge fee. Lets be realistic, whether you like it or not, chances are “Congestion Charges” are going to be coming to a town or city near you some time soon, so you might find that owning a hybrid could save you even more. Look at this logically, currently the congestion charge in London is £8 a day and you can be sure that the price is only going to go one way and that’s up. So if you commute into London 5 days a week at the moment, that’s £40 a week, or over a 50 week year, it’s a cool £2000 a year. If you keep your car for the average time of 3 years, that equates to saving a massive £6000 over the 3 years you have your car. That’s an enormous amount of money and makes the already compulsive case for the Prius into a no-brainer. Putting our green hat back on, ecologically, the Prius has a mega low CO2 reading of just 104g/km and as such, emits around 1 tonne less CO2 a year than your average family diesel, so you won’t be leaving dead plants in your wake and to reflect that, Road Fund Tax is presently is just £30 a year, compared with up to £300 a year for a gas guzzler or around £115 to £140 for your average family car. One of the major concerns for any of us when we choose a car is how much are we going to lose when we sell it in 3 years time. The Toyota stacks up very well here to, using statistics produced by a major motor research company (by way of example) show the Prius would loose 17% less over 3 years and 30,000 miles compared to a similarly priced Vauxhall Vectra Diesel Automatic and that it would cost around 20% less to maintain than the Vectra and the Vectra is a good car and very popular. Fact is Toyota has made a great car that does everything your normal car will, but more, just so much more. Driving it carefully, you can cut your fuel bills down dramatically, you don’t have pay the congestion charge fees, the cars annual Road Fund Tax is in one of the cheapest bands. Add to this the fact you are not chucking huge chunks of CO2 into the atmosphere and as we said earlier, the Toyota Prius make a compulsive argument why we should all be driving one. Finally, our benchmark here is how would we feel if we were given the car to use on a permanent basis for 3 years? Fact is we liked almost everything about the Prius and our answer would be “throw us the keys”. Price wise the Toyota Prius starts at a little over £17,000, going up to a touch over £20,000 for the top of the range “T Spirit”. Well done to Toyota for re-writing the rule book and making an innovative and enjoyable car to live with and for making the technology work. Call us or e-mail us for a leasing quotation on any model in the Toyota range.